Prof. Hogland obtain doctor degree (PhD) in Water Resources Engineering at Lund University, Sweden, in 1986. 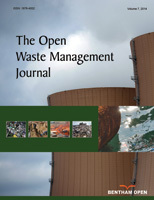 In 1988, Hogland became a research leader for Waste Management and Recovery Division, Lund University. Furthermore, in1997 he became full chair professor and head ofthe Environmental Sceince and Engineering Group at Linnaeus University, Kalmar, Sweden. He has produced more 450 scientific publication and in 2015 he got the Elsevier Atlas Award for “Research for a Better World” and in 2017 the honorable Sweden Impact Award. Dr. Alok Mittal is a Professor in the Department of Chemistry at Maulana Azad National Institute of Technology, Bhopal, India. Dr. Mittal has over 27 years of research experience in the following areas: Surface Chemistry, Electroanalytical Chemistry, Reaction Mechanism, Computational Chemistry, Polymer Sciences, etc. He was awarded BOYSCAST fellowship of Department of science & Technology, New Delhi, to carry out a 1-year Post-doctoral research work on Electroactive Polymers at University of Dundee, Dundee, UK. He has also been involved in testing of lubricating oils, fuels, polymers, alloys and water analysis. Dr. Mittal has authored/co-authored over 82 scientific papers, over 15 books, and he has presented several papers in conferences. Dr. Eleonora Aneggi obtained a Ph.D. in Chemical and Energy Technologies at the University of Udine. Since 2012 she is a contract researcher at the University of Udine. She is the author of numerous scientific publications in international journals and has been a speaker at numerous international conferences. She participated in several research projects at the national level. Her scientific activity is mainly focused on the study of catalytic processes, with particular reference to the environmental sector and specifically on the abatement of air pollutants from mobile and stationary sources and on advanced oxidation processes for wastewater and liquid waste. Dr. Claudia Belviso obtained her Ph.D. degree in Mineralogy from the University of Bari, Italy. Since March 2011, Dr. Belviso is Researcher at National Research Council of Italy – Institute of Methodologies for Environmental Analysis (CNR – IMAA), where she initially started working in 2001 on a Collaboration contract. Her scientific activity has concerned research topics in the fields of Mineralogy and Geochemistry as well as Environmental Pollution, and the relation between Environmental Pollution and Human Health. Dr. Belviso, as an author/co-author, has published more than 35 articles in various journals, having over 345 total citations. Dr. Wai M Cheung is a Senior Lecturer at the Faculty of Engineering and Environment, Department of Mechanical and Construction Engineering, Northumbria University, UK. He has published about 90 scientific articles covering key aspects of through-life costing from design to disposal; Information and Communication Technology in design and manufacturing and sustainability in product development. His current research interests are focused on various implementation pathways (such as new materials, design approaches, process, production systems, life cycle engineering approaches, etc.) to produce products with minimum material wastages, low carbon footprint, low cost and less energy requirement. Dr. Ismail Demir obtained a doctorate (Ph.D.) in Construction Materials from the University of Gazi, Turkey. Currently Dr. Demir is also Professor in the Afyon Kocatepe University, Engineering Faculty, Civil Engineering Department. He has published more than 100 scientific publications and has conducted 6 R & D project supported by TUBITAK (The Scientific and Technological Research Council of Turkey) and 8 project supported by the University. His research and teaching interest areas include recycling of wastes, raw materials, lightweight concrete, insulation materials. Massimiliano Fabbricino is Full Professor at the University of Naples Federico II, where he teaches to both under-graduated and post-graduated students. He collaborates with several foreign Academic Institutions.He was visiting professor at the University of Washington in 2006, 2012 and 2013, and invited professor at the University of Sichuan from 2014, till now. He got the Endowed professorship of the University of Washington, in 2012, and the Fulbright scholarship for research activities, in 2002. He is author of more than 200 papers published in national and international journals and conference proceedings related to water and wastewater treatment, solid waste disposal and soil remediation. Paolo De Filippis is an Associate Professor in the Chemical Engineering Department of the Sapienza University of Rome where he has been a faculty member since 1991. His interest are in the field of gasification, pyrolysis, catalysis and water treatment. Current research are focused on the valorization of waste and biomass as source of chemicals and use of pyrolysis byproduct as sorbent for water treatments. Prof. De Filippis has published numerous highly cited journal papers and conference articles in the aforementioned topics. He holds ten patents deriving from his research. As of 2017, Google Scholar reports over 1500 citations to his work. Dr Jun Han obtained a doctorate(Ph.d.) in Engineering from Huazhong University of Science and Technology(China). Currently, Dr. Han is a professor in College of Resource and Environmental Engineering of Wuhan University of Science and Technology. Dr. Han’s research field is Waste thermal disposal, Coal combustion, and Pollutant emission control. He has published more than 70 scientific publications. Dr. (Mr.) Mika Horttanainen is the Professor of Waste Management Technology and Head of the Department of Sustainability Science in Lappeenranta University of Technology, Finland. Dr. Horttanainen obtained his doctorate (Dr.Tech.) from Lappeenranta University of Technology in 2001. He was appointed as professor of waste management technology in 2005. The research of his team focuses on analysing the waste management system and on finding optimal approaches and technical solutions for waste management and recovery. Prof. Horttanainen has published about 40 peer-reviewed articles in scientific journals and more than 80 scientific papers and research reports in conferences and scientific publication series. Professor Dr. S. Nami KARTAL has worked as a member of Forestry Faculty, Istanbul University since 1990. He earned his Ph.D. degree in 1999 at Istanbul University. He previously worked at USDA Forest Products Lab (FPL), Madison, WI and RISH, Kyoto University, Japan and also studied at various research laboratories worldwide as a visiting scientist. He has attended numerous international scientific meetings and conferences and presented papers. He has been heading the Department of Forest Biology & Wood Protection Technology, Forestry Faculty, Istanbul University. He is member of IRGWP (International Research Group on Wood Protection) and IAWS (International Academy of Wood Science). Dr. Meharab Mehrvar obtained PhD in Chemical Engineering from University of Waterloo in 1998. He is presently serving as a full Professor at the Department of Chemical Engineering in Ryerson University. He has been recognized with awards such as Faculty Scholarly, Research and Creative Activity Award, YSGS Outstanding Contribution to Graduate Education Award, Research Award, Merit Achievement Award, Dr. T.E. Unny Memorial Award and Faculty of Engineering Award. He has contributed more than 70 publication having citations around 1034. His skills and expertise are in Environment, Water Quality, Wastewater Treatment, Water Analysis, Wastewater Engineering and Fluorescence. Chairman, Munasinghe Inst. of Development, Colombo. Shared 2007 Nobel Peace Prize as Vice Chair, UN-IPCC. Honorary Senior Advisor to Sri Lanka Govt. Distinguished Guest Professor, Peking University, China. Postgraduate degrees in engineering, physics, development economics from Cambridge University (UK), MIT (USA), McGill and Concordia Universities (Canada). Several honorary doctorates. Formerly Senior Energy Advisor to Sri Lanka President; Advisor to US President’s Council on Environmental Quality; Senior Advisor/Manager, World Bank; Director-General, Sustainable Consumption Institute, Manchester University, UK, Many international research awards. Authored over 100 books and 350 technical papers. Fellow of several international Science Academies and editorial board member of 14 scholarly journals. Dr. Martin I. Pech-Canul is a Research-professor with the Center for Research and Advanced Studies of the National Polytechnic Institute (CINVESTAV). As a former Fulbright Scholar, he got his Ph. D. Degree in Materials Science and Engineering at the Worcester Polytechnic Institute (WPI) in Worcester, Massachusetts. He has published 119 papers in international journals and more than 130 articles in international conferences. He has given talks, keynote and plenary lectures in the field of composites and recycling of materials. He has been the organizer of several sessions on MMCs (including TMS and MS&T Sessions), and was Co-Chair of Fray International Symposium. Dr. Pierce obtained a Ph.D. and M.S. in Civil Engineering from Northwestern University and a B.S. in Civil Engineering from the University of New Hampshire. Currently, he is an Associate Professor in the Department of Civil & Environmental Engineering at the University of South Carolina (USC). Dr. Pierce is also a Faculty Fellow in the USC Office of Sustainability and an affiliate of the USC School of Earth, Ocean and Environment. He has authored numerous scientific publications on his research and education of sustainable construction materials and geoengineering practices for improving waste management. Dr. Chongyang Shen is an associate professor at Department of Soil and Water Sciences of China Agricultural University, Beijing, China. Dr. Shen obtained PhD in Soil Science at China Agricultural University, China, in 2008. His research has been focusing on colloid and interface science, colloid filtration, transport of contaminants in porous media, environmental nanotechnology, soil remediation, etc. Dr. Shen has authored/co-authored over 50 scientific papers, and he has present several papers in conferences. Dr. Cornelia Vasile obtained PhD in Physical Chemistry from the „Al.I. Cuza” University of Iasi, Romania. She is senior researcher, head of Physical Chemistry of Polymers group at "P. Poni" Institute of Macromolecular Chemistry, Iasi, associate professor - Laval University, Quebec, Canada, “Gh. Asachi” Technical University and "Al. I. Cuza” University of Iasi. Main research interests: Kinetics of Polymer Decomposition; Enzymatic Degradation; Recovery of Polymer Wastes by Destructive and non-Destructive Procedures; Environmental Pollution and Protection; Thermal Methods of Investigation; Smart polymers; Food packaging (active, bioactive, smart, (bio)degradable). She is Editor in Intern. J. Polym. Sci. ; J. Polym. Research; SciFed Journal of Environmental Studies. Institute of Macromolecular Chemistry "Petru Poni"
Tiziano Zarra is Referee of the Sanitary Environmental Engineering Division (SEED) Laboratory of the Department of Civil Engineering at University of Salerno. Dr. Zarra is an expert in environmental odour characterization and control. Since 2015 he is member of the CEN/TC264 ‘Air Quality’, WG2 and WG41. Since 2003 he supports didactic activities at Department of Civil Engineering at University of Salerno. He is the senior researcher of several national and international research projects and referee of Erasmus agreements. Dr. Zarra has published almost hundred refereed publications in ISI journals and congress proceedings. Dr. Hamidi Abdul Aziz is a professor in environmental engineering in the School of Civil Engineering and the Head of the Solid Waste Management Cluster, Universiti Sains Malaysia. Professor Aziz received his PhD in civil engineering (environmental) from University of Strathclyde in 1992. He is the Editor-in-chief of IJSRES, and the Managing Editor of IJEWM and IJEE. Professor Aziz's research focuses on alleviating problems associated with water pollution issues from landfill leachate and industrial wastewater. His latest interest is on advanced oxidation processes and alternative landfill cover. His Researcher ID is F-6836-2010 and Scopus ID: 7005960760. Dr J. Paul Chen is an associate professor with the environmental engineering program in the National University of Singapore (NUS). He has published four books, more than 100 journal papers and book chapters with citation of above 4900 and H-index of 40. He holds seven patents in the areas of adsorption and membrane technologies and ballast water management systems. He has received various honors and awards, including the Sustainable Technology Award from the IChemE.He has been recognized as an author of highly cited papers (Chemistry and Engineering) of ISI Web of Knowledge. His scientific research interests include the Environmental Health Science He is the author of various research studies published at national and international journals, conference proceedings and Head of several research project at the TUMS. He has authored 8 books and more than 150 full papers published in peer- reviewed journals. He is an editorial board member and reviewer in many internal and international journals and is member of several international science committees around the world. Saeid Eslamian is a Full Professor of Environmental Hydrology. He was formerly a Visiting Professor at Princeton, ETH Zurich, and McGill University. He has contributed to more than 500 publications in journals, books, and technical reports. He is the founder and chief editor of both the International Journal of Hydrology Science and Technology (IJHST) and the Journal of Flood Engineering (JFE). Saeid is now associate editor of three important publications: Journal of Hydrology (Elsevier), Eco-Hydrology and Hydrobiology (Elsevier), and the Journal of Water Reuse and Desalination (IWA). He is the author of approximately 150 book chapters and books. Dr. Huan-Jung Fan is a Full Professor in the Department of Safety, Health and Environmental Engineering and Dean of Students at Hungkuang University, Sha-Lu, Taiwan. He received his Ph.D. degree in Environmental Engineering from Illinois Institute of Technology, Chicago, IL, USA. His skills and expertise mainly lie in the subject areas of Municipal solid waste management, Physical and chemical wastewater treatment, Industrial wastewater treatment, Environmental statistics, etc. Dr. Fan, as an author/co-author, has published more than 25 articles in various journals, having over 790 total citations. Prof. Eng. Daniele Goi obtained a PhD in Chemical Technology and New Materials from the University “La Sapienza” Rome, he also is member of Academic Assembly of CISM (International Centre for Mechanical Science. Dr. J.N.F. Holanda obtained a doctor’s degree (D.Sc.) in Materials Engineering at the Chemical Engineering College of Lorena, Lorena¬SP, Brazil. He is Associate Professor at the Northern Fluminense State University, Campos dos Goytacazes¬RJ, Brazil. And also, he has vast experience in Materials Engineering, with emphasis on the following topics: manufacturing engineering, ceramic materials, powder metallurgy, and valorization of solid wastes. He has published more than 100 scientific publications. Dr. Tayyeb obtained a doctorate (PhD) in Chemical Engineering from Pakistan Institute of Engineering and Applied Sciences, Nilore, Islamabad. Dr Tayyeb is the founder Head of Office of Research, Innovation and Commercialization at PIEAS. He is pioneer in managing extensive knowledge exchange activities at PIEAS and started The Pakistan Entrepreneurship Contest – CREATE, PIEAS Open House, and PIEAS Research Summit. Dr Tayyeb published over fifty papers and his work is cited in over seven hundred articles. Han van Kasteren obtained a doctorate (Ph.D) in Chemical Engineering Eindhoven University of Technology, The Netherlands. Currently Han is professor “Sustainable Energy and Green Resources’ at the Aeres University of Applied Sciences in Dronten, Advisor at Telos, Tilburg University and project manager at Eindhoven University of Technology. He published over 80 publications in the field of recycling, energy and education. Prof. Antonio Messineo was appointed full professor in Applied Physics at the University of Enna “Kore” in may 2015. He was previously assistant professor and later associate professor at the University of Enna since 2010. He is author of more than 100 scientific papers with more than 45 papers on international journals. His main research topics are related to energy and environmental planning, refrigerating engineering, renewable energies, energy and building. At the moment, his research interests are mainly related to the energetic valorization of biomass. He participated to numerous research projects at national and European level mainly related to energy and environmental planning, renewable energies. Dr. Park obtained a doctorate (Ph.D.) in Geo-Environmental Engineering from University of Houston, Texas, and had continued taking Post-Doctoral in West Virginia University. Since 1996, he is a professor in Department of Civil and Environmental Engineering, Seoul National University, S. Korea, in the field of Geotechnical and Geo-environmental Engineering. The scope of his research interests are Permeable Reactive Barrier (PRB), leakage detection system, and sorption material development. He has published more than 200 peer reviewed journal papers and has been actively joining committees in Civil Engineering field. Dr. Marco obtained a Ph.D. in “Mechanics and Advanced Science of Engineering – Machines and Energy Systems Engineering” from the University of Bologna in 2012. He is a researcher at the Department of Industrial Engineering, University of Bologna. Since 2007, he started his collaboration with the University of Bologna as a research fellow. He is an ordinary member of AIDI (Italian Association of Industrial Plants Lecturers). He made reviews for relevant international journals in the field of mechanical industrial plants as Renewable Energy, Applied Energy, Waste Management, Journal of Renewable and Sustainable Energy, and Renewables: Wind, Water, and Solar, Energies. He has contributed more than 30 publications in different journals. Dr. Sudhakar M. Rao is Professor at Department of Civil Engineering, Indian Institute of Science, Bangalore. He has supervised research projects on monitoring contaminated groundwater, impact of anthropogenic contamination on groundwater quality, technologies to remediate contaminated groundwater, develop clay barriers to contain toxic wastes and re-use of hazardous waste in civil engineering applications. He has patent for fluoride removal from contaminated drinking water using magnesium oxide and developed sustainable technologies for removal of nitrate and hexavalent chromium from drinking water. Recently he has developed bio-barrier technology in Mulbagal town in Karnataka. Dr. Antoine Prandota Trzcinski obtained his Ph.D. degree (2009) from the Chemical Engineering Department of Imperial College London, UK. In 2016, Dr. Trzcinski joined the University of Southern Queensland, Toowoomba, Australia, as lecturer and currently teaches Environmental Engineering, Environmental Engineering Practice, Hydraulics, Solid & Liquid Waste Treatment, Applied Chemistry and Microbiology. In addition, he is continuing his research in these fields. His long-term vision is to transform the conventional waste activated sludge process into its anaerobic counterpart, which would result in an energy factory with significantly lower sludge production. Dr. Trzcinski, as an author/co-author, has published more than 40 articles in various journals, having over 555 total citations. Dr. Wey obtained a doctorate (Ph.D.) in Chemical Engineering from KUL, Leuven, Belgium. Currently Dr. Wey is also a distinguished Professor in Environmental Engineering Department, National Chung Hsing University, Taiwan (ROC). He has published more than 190 scientific publications (SCI). Dr. Anastasios I. Zouboulis is Professor of Chemical & Environmental Technology, Department of Chemistry, Aristotle University, Thessaloniki (GR) since 2007. He is author of more than 150 papers (current Scopus H-factor: 47). He has participated in more than 70 national and international research and demonstration projects, funded by E.U. and from local sources (ministries, industries, companies etc. ), while he was Scientific Responsible in more than 50 of them, related his scientific interests. His international reputation was recognised by his election as (foreign) member in the Russian Academy of Sciences (since 2003). Prof. Mohamed Nageeb Rashed. Professor of Analytical and Environmental Chemistry, Pervious Vice-Dean for Environmental Affairs , Faculty of Science, Aswan University, Egypt. Prof. Rashed supervised several M.Sc. and Ph.D. thesis in the field of pollution, analytical and environmental chemistry. 75 scientific papers were published in international journals and conferences. He participated as invited speaker in 20 conferences around the world. Prof.Rashed acts as editor-in-chief and an editorial board member in several international journals in the fields of chemistry and environment. His society membership includes several national and international societies. . Prof.Rashed Awarded the Egyptian National Award for Environmental Researches for the year 2001.